Find Out What You Need to Earn to Live in Some Major U.S. Cities | Fournier Law Firm, Ltd. The real estate market is showing signs of improvement; as a result, more Americans may be entertaining the idea of purchasing a home for the first time or moving to a new area of the U.S. 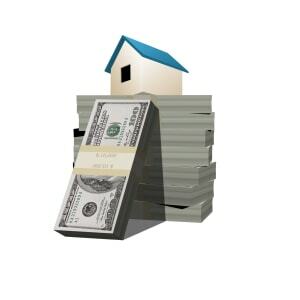 However, its wise to consider how much money you need to earn in order to afford a home in a specific city. A recent study released by HSH.com provides the details about 27 major U.S. cities and what salary is required in order to purchase a home there. According to an article published by Realtor.com’s Catey Hill, the study “assumes the buyer has good to excellent credit (and thus would get a mortgage interest rate—depending on location—of around 4%), put down 20% and would be spending no more than 28% of income on principal and interest.” Even with a significant down payment and a low mortgage rate, one would need to earn an average salary of almost $58,000 per year to afford a home in Chicago, according to the study results. Topping the list with a salary requirement of almost $148,000 a year, is San Fransiciso, CA. More affordable cities such as Cincinnati, Atlanta and Pittsburgh allow home buyers earning closer to $30,000 to purchase a home. To find out about other U.S. cities and how much you would need to earn to purchase a home there, read the entire article.